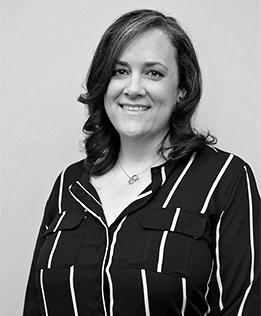 Shannon Casey plays a pivotal role in some of GCG’s largest projects, where she leverages her extensive operations experience at GCG as well as her prior work as a paralegal at a national complex litigation law firm. Ms. Casey’s skills and expertise in creating efficient workflows and processes are particularly important to matters that require specialized set-up and design. Ms. Casey maintains an important role in the $10.3 billion BP Deepwater Horizon Settlement, where she initially assisted on all aspects of the program launch, and now holds lead responsibility for the project distribution including oversight of the team that executes daily payments. To date, the team has distributed in excess of $11 billion. She also handles various escalated items with other program vendors, including Contact Center, mailing, and payment inquiries. Other major cases Ms. Casey has worked on include the $1.425 billion Stryker Modular Hip Settlements where she played a key role in designing and implementing reporting, and creating comprehensive, user-friendly claim forms, as well as coordinating the construction of training materials to facilitate the document review process. Ms. Casey joined GCG in 2003, where she spent two years working on the Securities Operations team. She then went on to continue her class action administration career by working as a lead paralegal for six years in New York City at a national law firm and client of GCG, where she worked on numerous securities class action cases, such as the $1.1 billion In re Royal Ahold N.V. Sec. Litig., In re DaimlerChrysler Sec. Litig., In re CMS Energy Sec. Litig., and the Tremont Securities Law and State Law Litigation. Ms. Casey returned to GCG as a Senior Project Manager in 2011, and was promoted to Director of Operations in 2016.